You are here: Home / A-Blog / We Obtained Text Messages And Emails Between Mueller Team And The Press — And It’s Embarrassing For CNN. We Obtained Text Messages And Emails Between Mueller Team And The Press — And It’s Embarrassing For CNN. Released messages document how Mueller’s spokesman took dozens of meetings with reporters over three months in 2017. Reporters from nearly every major media outlet have been jockeying for influence and favoritism within the special counsel’s office. One awkward exchange illustrates a reporter from CNN trashing an article written by White House correspondent Jim Acosta. 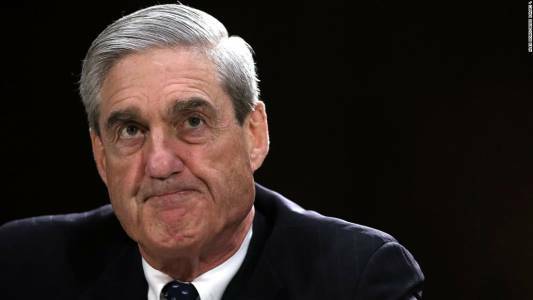 Hundreds of pages of emails and text messages released from the Department of Justice’s (DOJ) special counsel’s office through a Freedom of Information Act (FOIA) request show an ongoing relationship between Robert Mueller’s team and the press, according to an investigation by The Daily Caller News Foundation. The documents, released in September, span months of communication and include messages from reporters ranging from a variety of outlets, including TheDCNF, The Washington Post and BuzzFeed. While the vast majority of correspondences between Mueller’s spokesman Peter Carr and a variety of journalists ends with a “no comment,” the messages expose Mueller’s team was willing to meet with a number of reporters in private meetings and over the phone. Coordinating such meetings cuts against the narrative that the special counsel has been hesitant to give information to the press, instead opting to give information only through public announcements and statements. But on July 21st, 2017, Adam Goldman from TheNYT sent an email to Carr about arranging a “touch base” meeting, according to documents provided by the DOJ. That meeting was later rescheduled, but it is just one in a pattern of meetings and private calls from reporters jockeying for opportunities to solicit information from an investigation that has been labeled as “leak proof” from the press. Ironically, Vox was one of those exact outlets that proclaimed Mueller’s team as immune to leaks — despite one of its reporters communicating extensively with Carr via text. During one interaction, Alex Ward asks Carr off the record if the investigation would continue should President Donald Trump fire Mueller. “As guidance only, the [Deputy Attorney General] testified last week that he, not the President, would be the one to make the decision. 28 CFR 600 outlines under what circumstances a Special Counsel can be removed. If it came to that, a replacement would likely be found,” Carr answers. A day later, Carr aids Ward in describing the room in which the investigation takes place. Despite Carr’s assistance, he is never mentioned in Ward’s piece published over a month later. From late July until the end of September 2017, Carr held at least dozens of meetings with various reporters. Those meetings have rarely been discussed with the public, by both the government or the press, until the release of these documents. TheDCNF could not find any evidence of impropriety by Mueller’s office, nor any evidence that Carr favored specific outlets. Regardless, the messages document hours of conversations and meetings between a spokesman involved in a politicized investigation and reporters eager to cover for him in hopes of further access. Other messages released by the DOJ illustrate more awkward interactions, showing how some reporters will even undermine colleagues in order to build trust in their relationship with the special counsel’s office. CNN’s Evan Perez, who had extensive conversations with Carr from at least May through August 2017, expressed frustration at a story co-authored by the network’s White House correspondent Jim Acosta. “I had nothing to do with it. Didn’t see it until after it was published. I would not have published that. But I’m also in a poor position to stop things,” Perez said of Acosta’s reporting. Perez then communicates concern that the story could damage the validity of the special counsel’s investigation because of the attorney general’s politics. “By the way, this story and the pick up its [sic] getting makes it so the public will think Mueller is in bed with (one of) the most partisan left-leaning AG in the nation. I’m sure he has good people working there but the leadership has a pretty partisan agenda,” Perez says to Carr. “Maybe that’s what the Special Counsel wants,” he adds. A month later, Perez ran a follow-up story on the Mueller investigation, prompting Carr to offer a phone call in case he needed any additional information or clarifications.